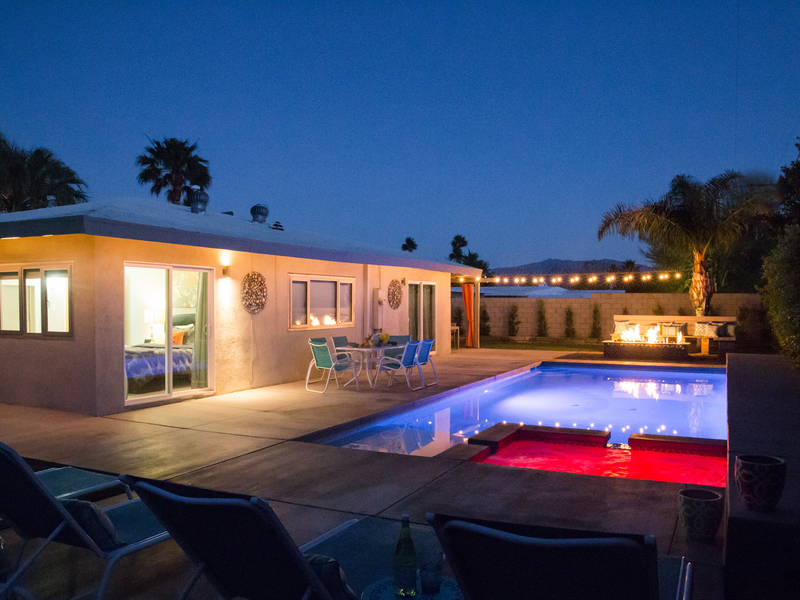 Welcome to Palm Springs Living! 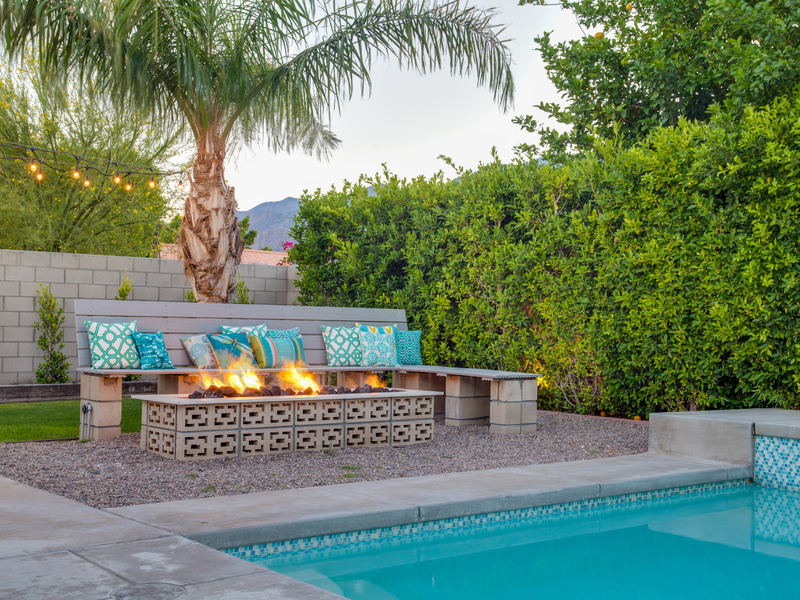 Create memorable moments or reminisce about the 'good old days" while soaking up the sun or cozied around the new fire pit in this stylish 1950's home. 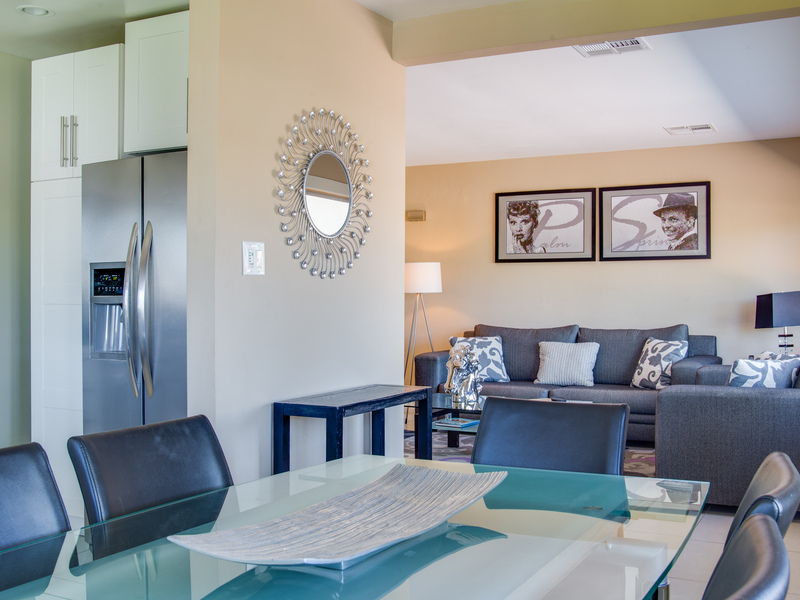 This pet friendly home is perfect for family sized getaways or for groups of friends looking to re-connect. 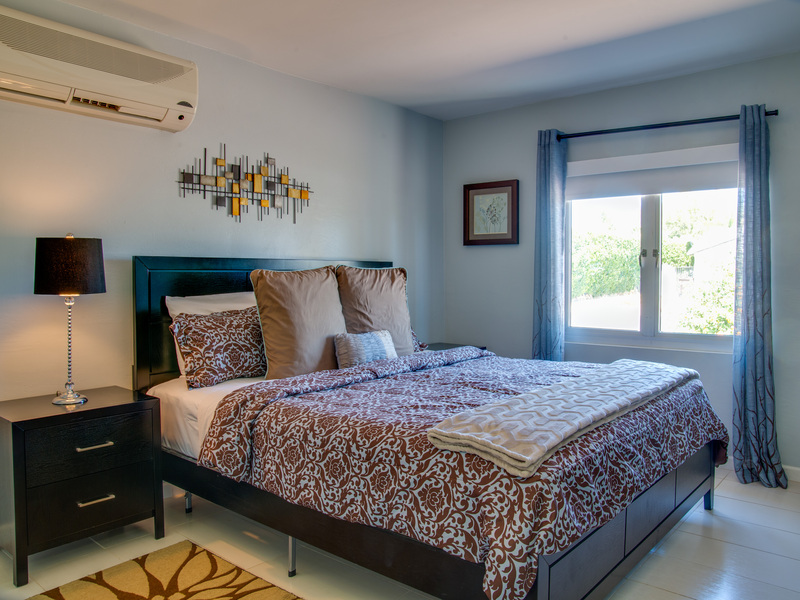 The home's four bedrooms and two bathrooms provide privacy and comfort for up to 8 people (single pullout in the living room for additional child 12 years of age or under). 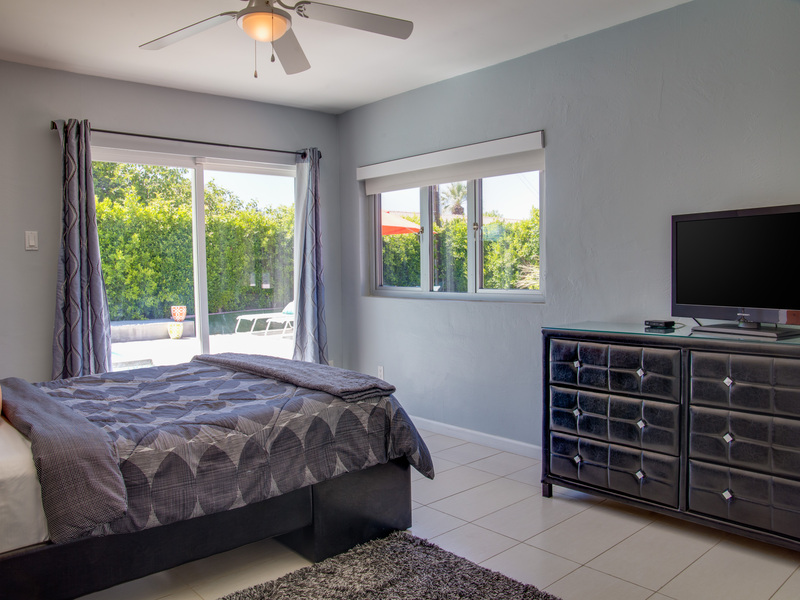 The master bedroom has a king-size bed with 32" flat screen cable TV. 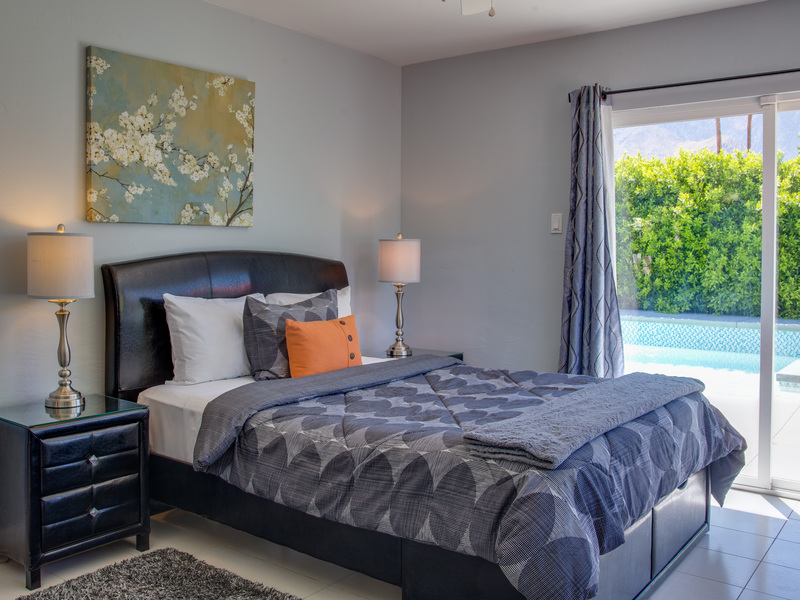 There are two additional bedrooms at opposite ends of house, each with a queen-size bed and a 32" flat screen cable TV, both rooms have direct access to the backyard with views of the Mountains and pool/spa! 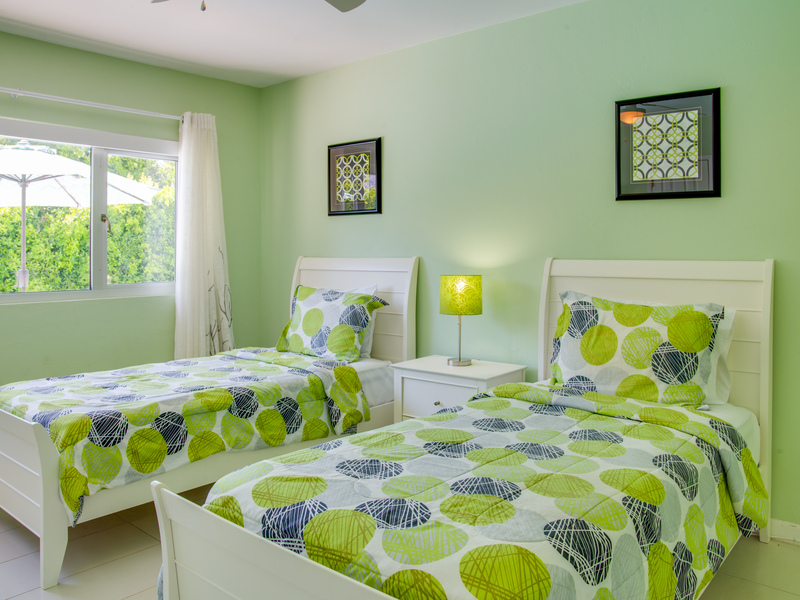 The additional 4th bedroom offers two twin beds with 32" cable TV, offering plenty of flexibility for groups of all size. 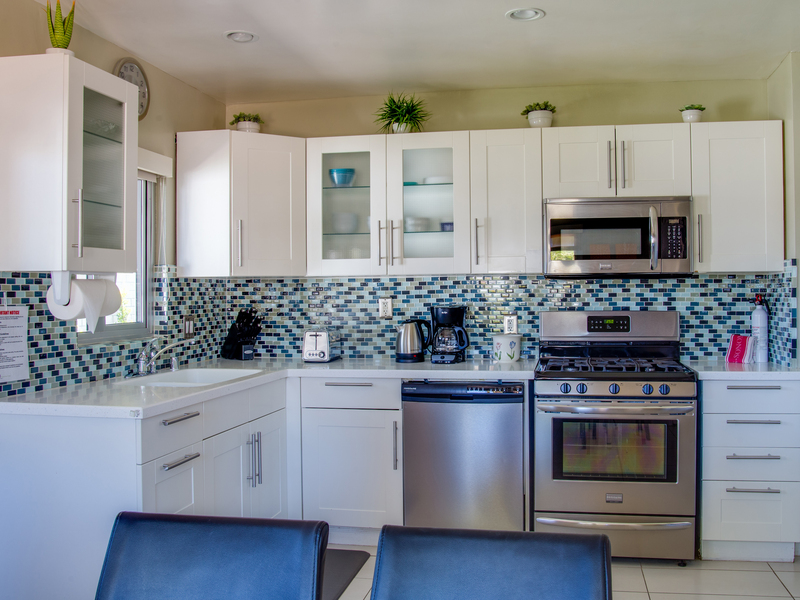 The kitchen is fully equipped and features new stainless steel dishwasher, microwave, refrigerator and gas stove. Adjacent is a dining area, with an expandable glass table that can seat up to eight. High-speed wireless Internet is provided throughout the house. There is also telephone with free long distance service throughout the USA and Canada. The property features a 15'x36' sports pool (3.5' on each end, 6' in the middle) perfect for those "friendly" games of volley ball! We haven't forgotten the little ones either; there is a large, shallow, tanning shelf for splashing around. The 6' x 8' spa with 6 jets, offers plenty of room for everybody. 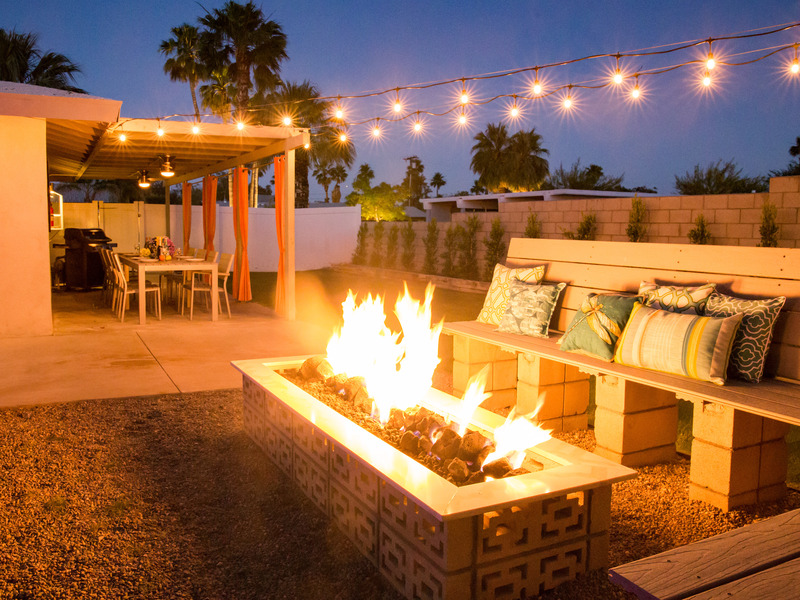 The fire pit is a perfect gathering area for those cool desert evenings, the perfect way to cap off a fun filled day in Palm Springs! 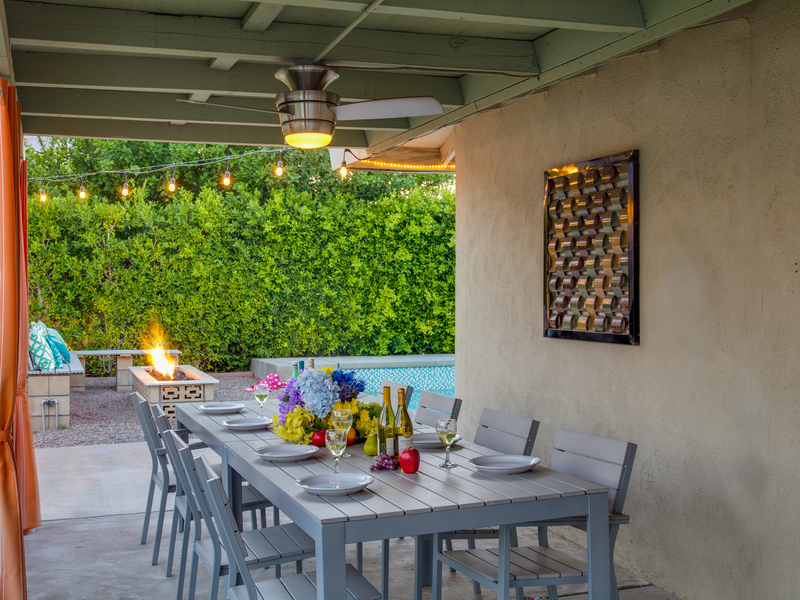 Just off the kitchen, you will find outdoor dining area under a large covered patio offering shade during the day and lit for nighttime hanging out. The patio area is complete with an outdoor dining table, lounge chairs, and a hard lined gas BBQ, no running out of propane here! 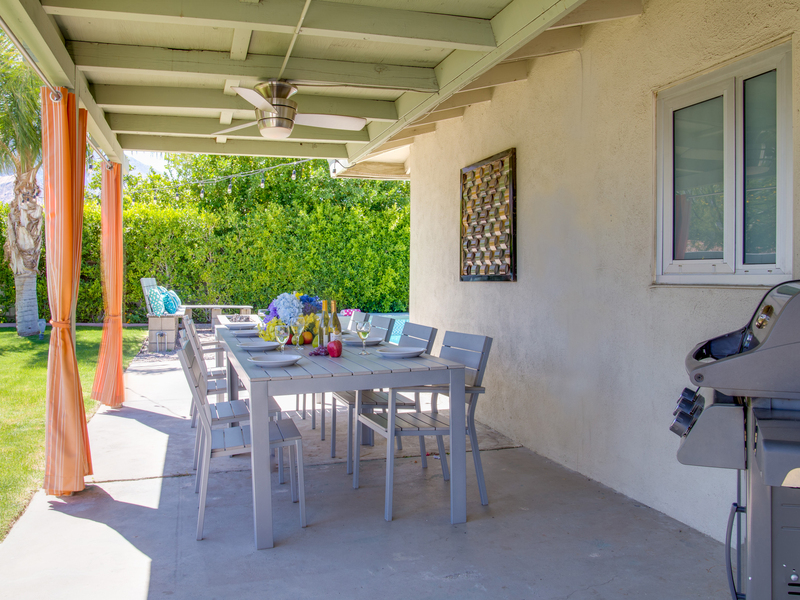 Racquet Club South is a neighborhood just north of downtown Palm Springs, in an area that enjoys glorious views of the San Jacinto Mountains. 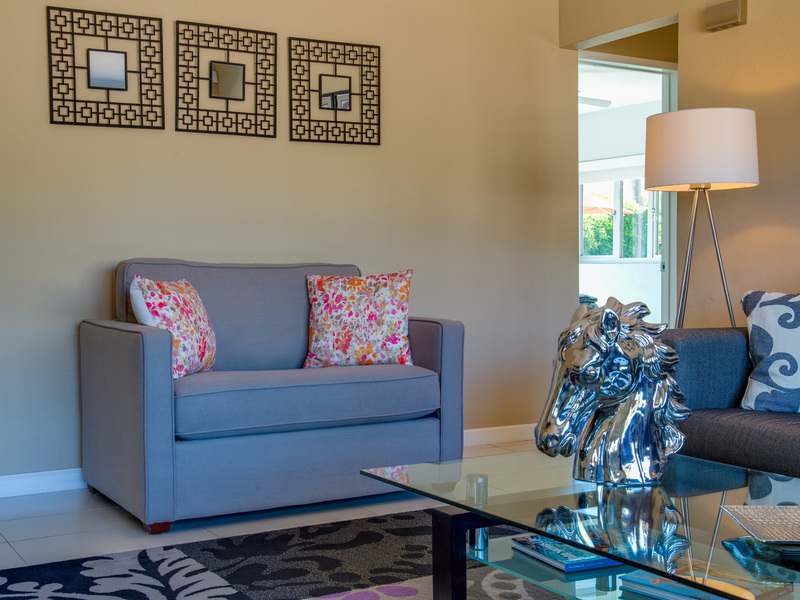 You'll be close to restaurants and shops in Downtown Palm Springs, with grocery stores and the airport just minutes away. "This is our second stay at Franky's Hideaway. We loved all the improvements since our last visit especially the huge new fire feature and benches. 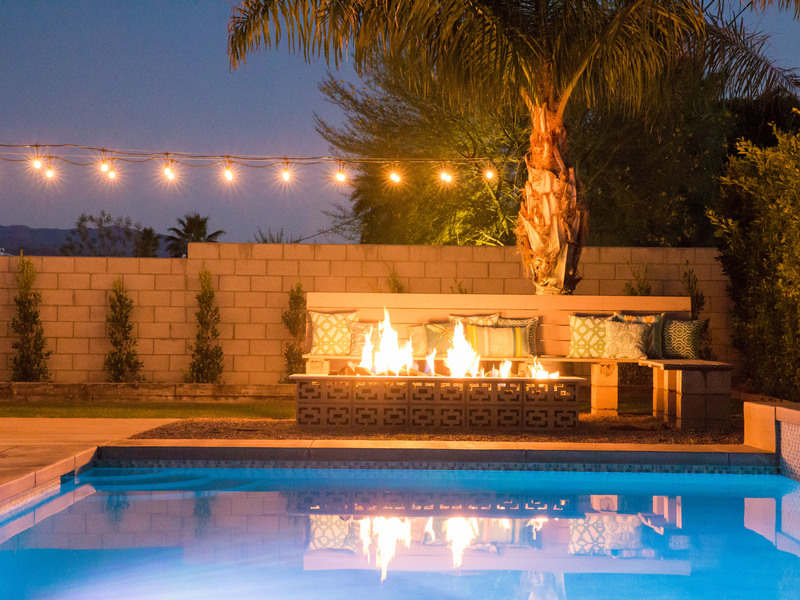 Thank you to the owners for making this fun property even better. We will be back!" "I was lucky enough to have the opportunity to use Franky's Hideaway as the location for a photo shoot. The pool yard was an amazing place for a shoot. The thick ficus hedge surround was the perfect back drop and made the yard so private. The pool was huge and yep - we took full advantage of the spa. The inside of the house was really cool. 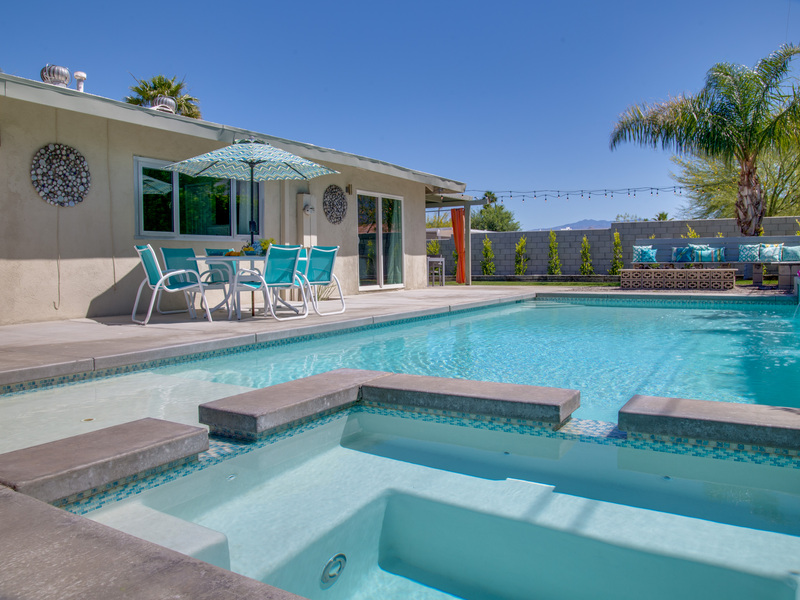 This is a great, affordable Palm Springs vacation home. Pretty as a picture!" "Overall experience was good, the house was clean, inside and out. Very good style and comfort. " "Loved the many home options, and was very pleased with the cost and availability for the size of the house we wanted. Very good comfort and style! 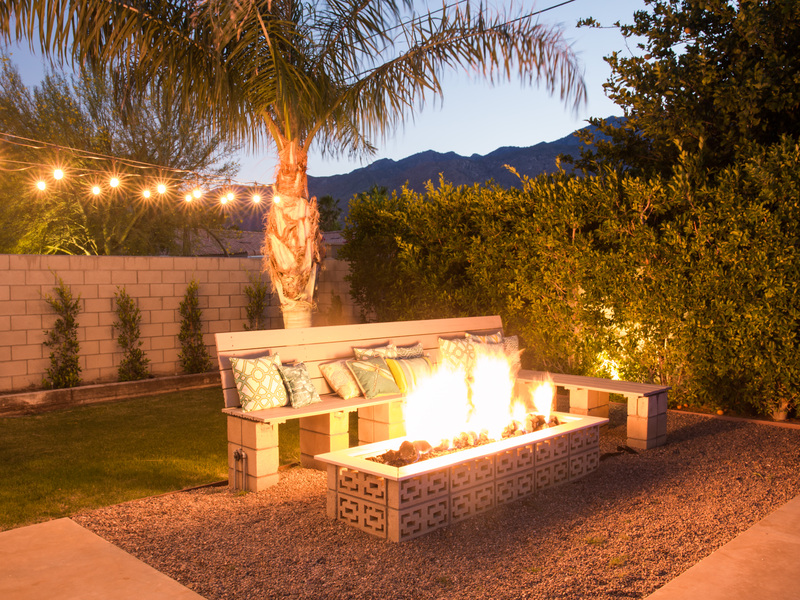 Especially loved the outdoor space!" 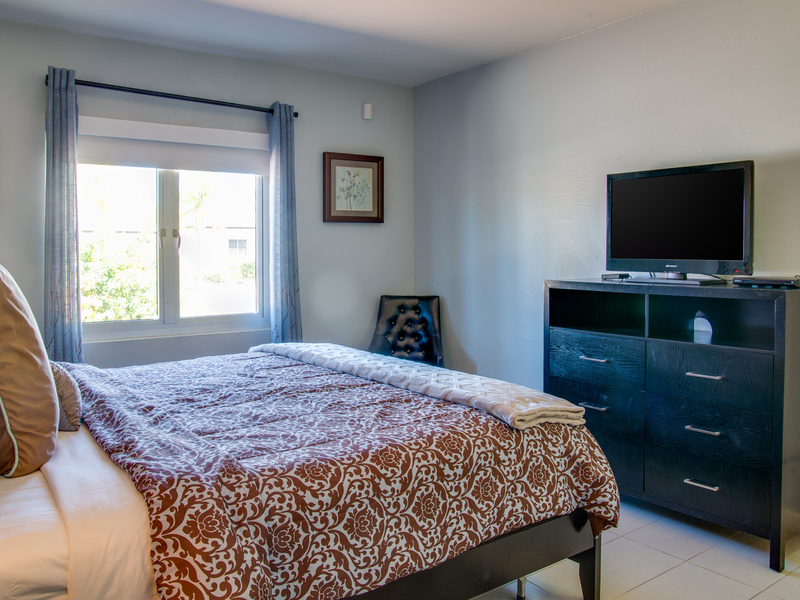 "Excellent comfort, style and cleanliness! An overall excellent stay!" 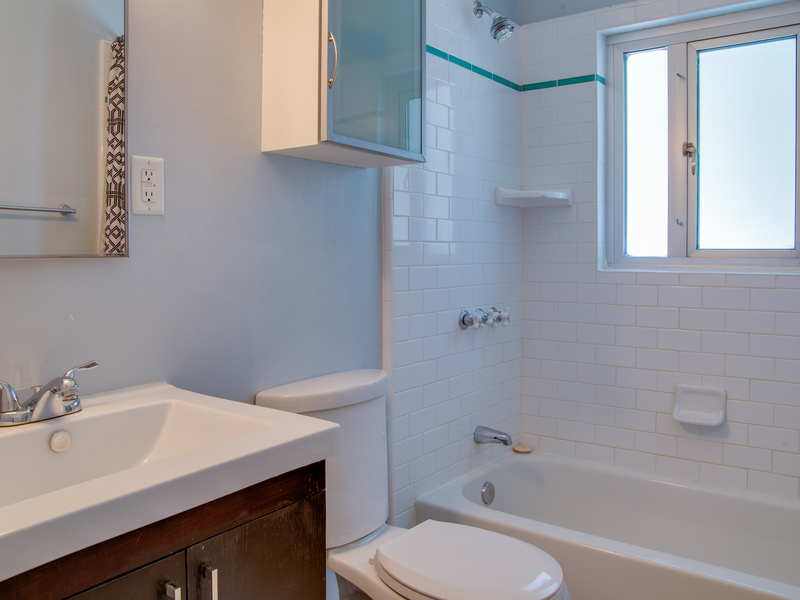 "I liked the house amenities and the rental price. The best part was the ease in booking and the information provided for our stay. We were really surprised how quiet the neighborhood was. Excellent all the way around!" "Nice, quiet, cute ranch that was updated and modernized. Best part was the pool and tons of bedroom space! Loved the pool and back yard set up, including the lime tree! I will highly recommend!" "Cute home, and well equipped. Acme employees were all very professional. Would stay here again :) Thank you so much for having us!" Manager Response: You were great guests Izza. Don't forget to use your past guest discount when you come back to stay with us again! "The best part was the BBQ, pool and hot tub. We were surprised with the airport traffic! Good overall stay." "Had an excellent arrival, and a very enjoyable stay! Very good style, cleanliness, and comfort." All that I wanted, and more! "The house offered so much, four bedrooms, king size beds, and a fire pit! The best part was the the backyard! Excellent in meeting my overall expectations! " Price, size and amenities, excellent! 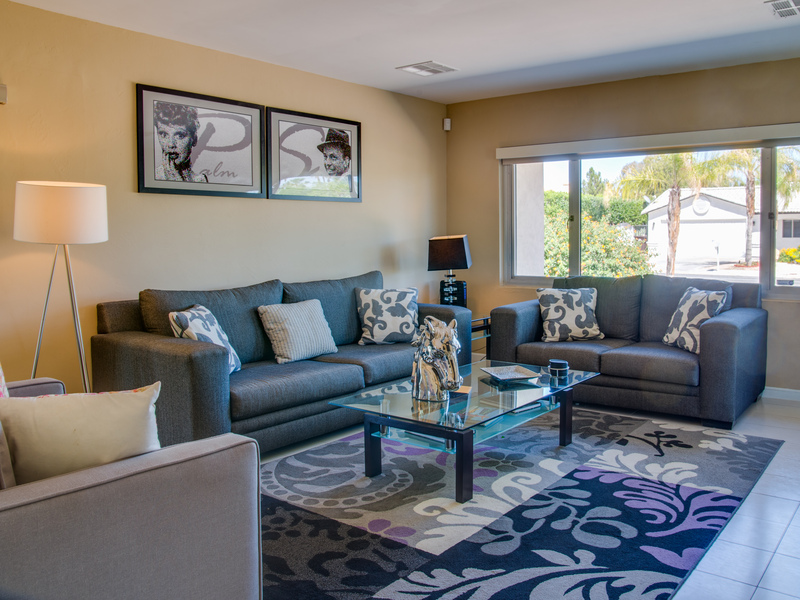 "The rental process was easy and everything was explained in detail. There is even an app that you can download on your phone with more than enough information about the house and area! No hassle no fuss! Door code was provided so no one had to wait on us to arrive! The pictures of everything was so on point. The fully stocked kitchen was also a pleasant surprise. Excellent stay! " 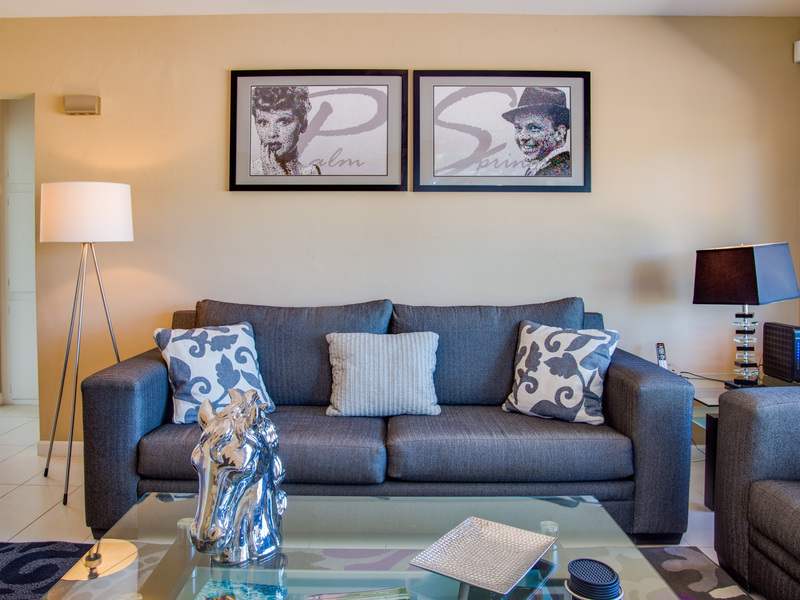 "ACME House Co. made it very easy to reserve a house, had an extremely easy check-in, and we had great communication throughout our entire stay. We chose the house because it looked great in the pictures, and the price was within our price range. The pool was great, and the best surprise was when we discovered we had a hot tub! " Service like a high end resort! 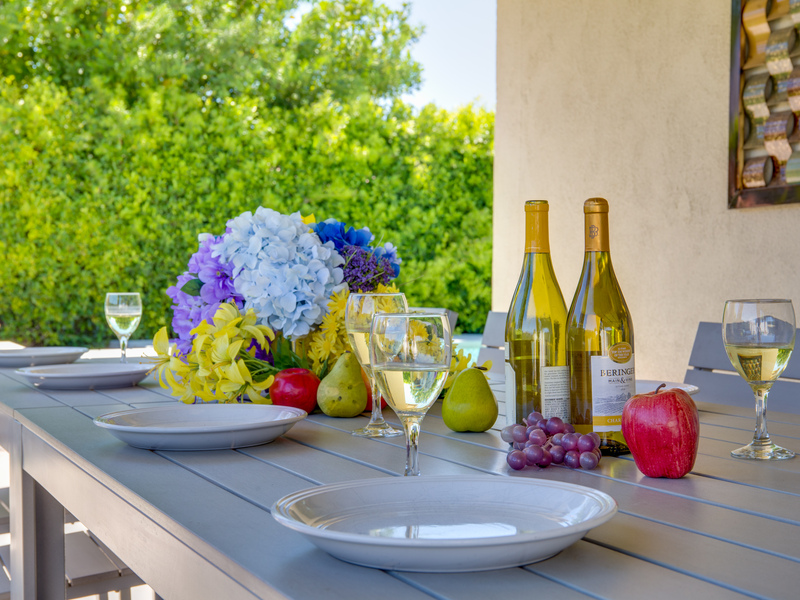 "We prefer to rent with ACME House Co. because of their immediate responsiveness to any problems, and they are amazing, making you feel like you are staying at a high end resort! We really enjoyed the amazing pool, but would suggest letting guests know when the pool cleaner and service would take place. The house could be stocked better, with extra comforters, sheets, plastic glasses and utensils,too. Overall a great stay!" Manager Response: Thanks for the feedback - it is always helpful to get input from our guests. We wish the weather had been better during your stay - we had unseasonably chilly weather during your stay. The landscaping service for this home may have been pushed off regular schedule due to weather. We'll pass along your input to the homeowners about the kitchen supplies and extra blankets. 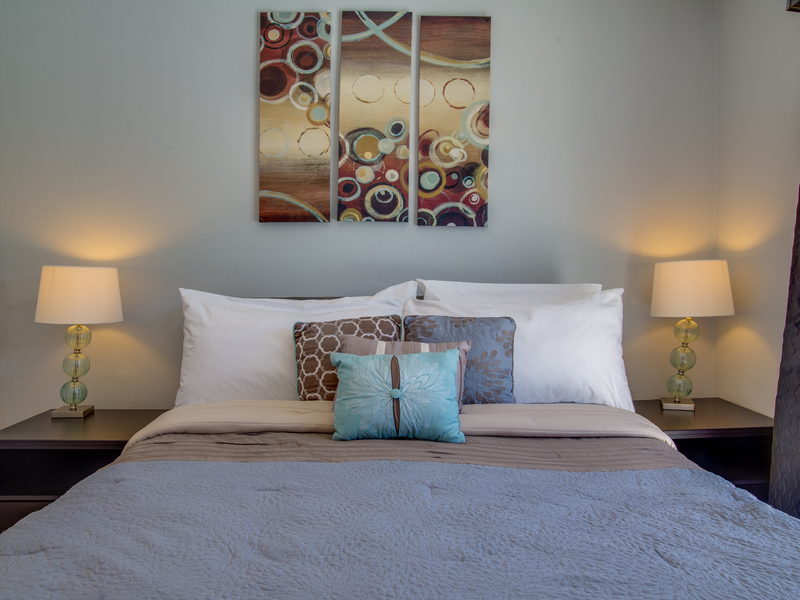 "The house was very nice and enjoyable for a weekend getaway! We picked the property due to the location, pricing and home layout. The best part was the pool and outside patio area. Appreciated how clean everything was. We would most likely stay again! " Manager Response: Thank you for pointing out that the sink drained slowly, and that the master bedroom was warm to sleep in. We appreciate you letting us know the outside trash was already full when you arrived. We will have our Property Care team go out to the property to make the necessary repairs. Customer service was the best part! "ACME House Co. was very professional and helpful with anything we needed. We checked out Acme on Yelp and found all the positive reviews. And the homes looked nicer on ACME than the other local sites. Biggest surprise was the supply truck that pulled up ready and prepared to help fix anything we needed! Great customer service." Manager Response: Thanks Natasha. You were such gracious guests. All of our homes are privately owned. Just like in your home, sometimes little things can go wrong during a guest stay. But our team is ready, willing and well-equipped to handle almost anything that comes up right away. We look forward to you coming back to stay with us at Franky's HideAway. "ACME House Co. has a great variety of beautiful homes for reasonable prices. Excellent decor, cleanliness, and style. The best part was the pool! An overall excellent stay." 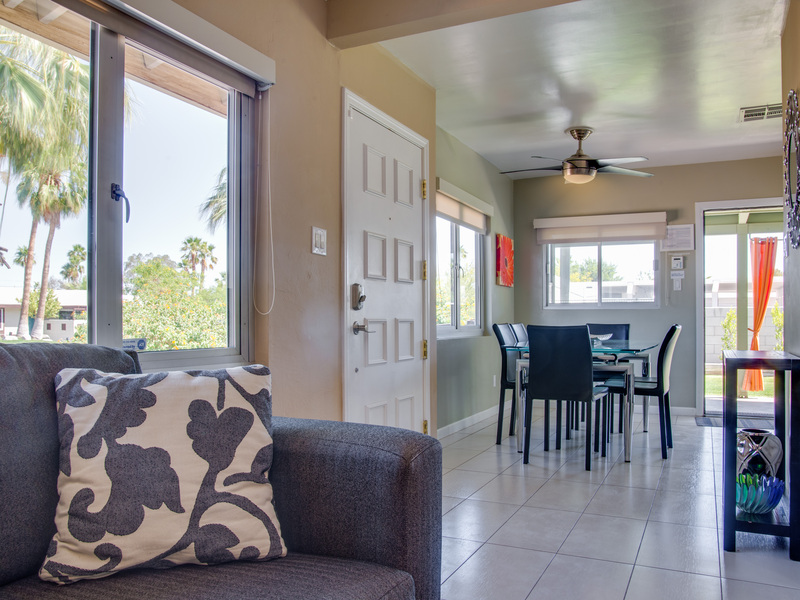 "Let me start by saying we have stayed in several palm springs rental homes, and all have been nice in their own ways. This was a wonderful home, clean, well kept, adorable, gorgeous and lush yard and pool. My family came from Midwest to celebrate thanksgiving and it was just perfect. Even though it was not super hot, (mostly low 70s to low 80s) the pool is heated and hot tub is perfect. We had a blast, and so did our dogs. Thanks Franky's Hideaway!" "Acme House Co. is easy to work with. Great location and amenities. Nice bedroom set up. Uncluttered and stylish. Best part was the view, the pool, the kitchen. Everything was great! Bathrooms were a bit small and the sprinklers/maintenance workers came at an awkward time, but those are pretty minor issues. Bathrooms were a little small. Beach towels were provided (wish we had realized because we packed our own). Thank you for everything! " "Had a great time. Enjoyed the pool. " "Better than the pictures! Private and easy! Best deal! Met all of my expectations! Definitely coming back! " "We stayed in Franky's Hideaway the house had some issues but they were all fixed right away. The house was very very clean. Whatever issue we had we called the customer service and someone replied to us right away. We got a follow up call after our vacation and we were refunded some money for the inconvenience. They apologized for anything was wrong in the house. Overall, the house was clean the customer service was beyond expected. We will be returning next year." Beautiful property! Fantastic yard and pool! "As soon as we arrived, I kicked myself for not booking more days here. Everything was perfect. Spacious rooms, gorgeous outdoor space and convenient to shops. We had s’mores at the fire pit, bbq on the patio and perfectly chilled wine from the wine fridge. The pool is amazing with relaxing waterfalls. The master bed had massage features that were fantastic for my back pain. 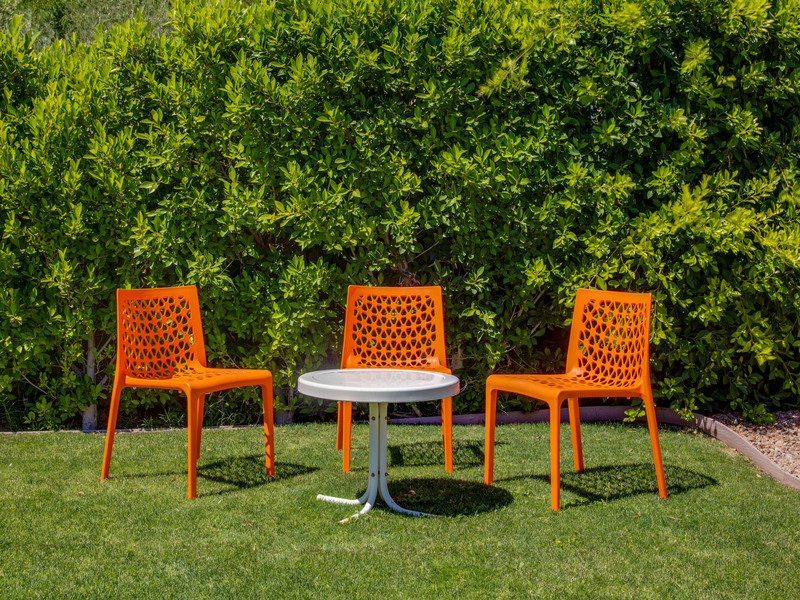 Foosball, pac man and board games helped make this one of our favorite desert retreats. We noticed caterpillars throughout the house and did our best to help them back outside. The air conditioning worked perfectly just like everything else in this home. The home instructions were effortless and organized. The manager was so nice and had great suggestions for local activities as well. We look forward to returning soon." "Perfect for our requirements. We were really surprised how nice the outside amenities were. Great service!" Hi Rene - All of our pools are actually heated.